Which of Your Lord’s Favours, do you Deny? [Allah (Azza wa Jal) says:] “I have inspired it [humans] of its speech and its bayan.” Means in Surat ur Rahman, Allah (Azza wa Jal) is directing everything to us, saying: are you people of Shukr or those who are naa-shukr. Are you not being thankful to Me? Don’t you see how I created you? That I taught you Holy Qur’an and I created you insaan; I gave you articulation of your holy speech. I gave you the sun and the moon and the orbits. And later we found its importance. Then Allah (Azza wa Jal) says: I gave you the Heavens and by it a means of your guidance. Directing to us that: I am giving you all this. Then, throughout the surah, Allah (Azza wa Jal) says: which of My Favours are you going to deny? If you become tukazziban, you become tukazzibon, you become a liar, and Allah begins to punish you. Because at the beginning of the Surah Rahmaan, Allah is asking: how many of My Bounties have I given to you? I have given you the trees, the grass, the sun, the moon. How many of them do you deny, how many do you deny, how many do you deny? If you deny enough the Arabic word becomes “you are a liar”, kazzaab and Allah (Azza wa Jal)’s ahzab (punishment) and difficulty will be upon that liar. So you begin to shake with that surah. That everything is a celebration for Allah (Azza wa Jal). Then, think with a little bit of contemplation, if Allah (Azza wa Jal) is telling you, “You should be thankful everyday for a date,” because Allah is saying: you see the date I gave you? How many of My Favours do you deny? See the pomegranate I gave you? 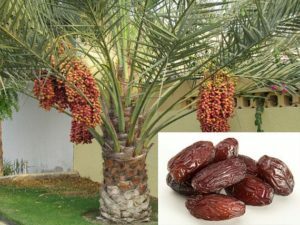 Allah (Azza wa Jal) is talking about fruits! That for the fruits and vegetables you have to be thankful for. 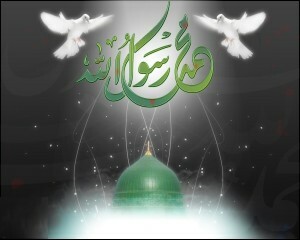 What about all that light that is in the light of Sayyidina Muhammad (sallallahu alayhi wa sallam)? Allah (Azza wa Jal) is saying: you have to be thankful for the trees, for the pomegranate, for the sun and the moon and the stars and by the stars you have been given guidance. 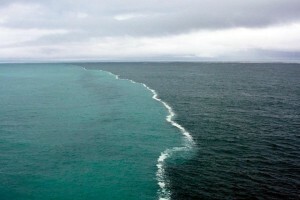 It is all for us an isharat (indication) and understanding Allah wants us to celebrate everyday His Divinely Creation. That I gave you all of this creation, thank Me, praise Me, be thankful for Me, pray unto Me, submit unto Me for what I gave you of this Creation. It means then the birthday and the wiladat, celebrating the birth of Sayyidina Muhammad (sallallahu alayhi wa sallam), celebrating the birth of Imam `Ali (alayhi ‘s-salaam) you look at it now in a different way. For Allah (Azza wa Jal) says: do you know what I gave to these souls? If I am talking about fruits and vegetables, imagine what I gave to the reality of these souls as a ni`mat and I chose them for your nation. And I chose your nation above all nations. And I gave these souls its reality and partitioned its blessings and its favours and you are not going to thank Me for that? When people are coming together and thanking you; yaa Rabbi, we are thanking You for grapes, we are thanking You for dates, we are thanking You for the stars, for the moon, we thank You for our breath, we thank you for our sight. 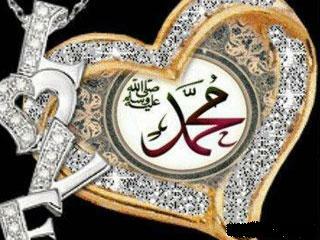 Most of all we thank You for Sayyidina Muhammad (sallallahu alayhi wa sallam). We thank You for these great souls and these great Companions. Where Allah (Azza wa Jal) says: the stars and the moons within the Heavens I created them so that you find a guidance and your compass for where you are. “Verily everything is praising Me.“ “So sit and praise Me all day and all night,” and you won’t be praising more than just a flower (in its praises). A flower has no ego and is consistently in praise. 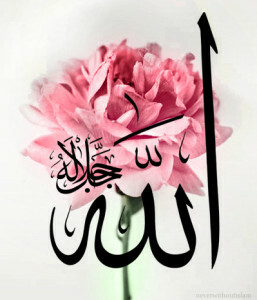 It finds its existence, its form, its beauty and its fragrance with the Zikr that Allah (Azza wa Jal) has given it. Shukr that you are a Creation with an `aql, a mind, be thankful for what I have given to you, the tongue, and with it the ability to communicate. 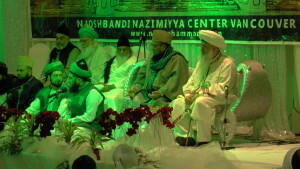 Means these Mawlid an-Nabi and all Mawlid an-Nabi (sallallahu alayhi wa sallam), every celebration where we get together is a celebration of Allah (Azza wa Jal). Subhaanaka allahumma (Glory be to You o Allah), yaa Rabbi what You created we thank you for it. At the end of Surat Rahmaan Allah (Azza wa Jal) says: Glory be to Me for what I created. He asks: which is harder to make, this Earth or My Heavens, and the firmament of the Heavens, and how to keep them from falling upon your head? Are they not great? Means then every Mawlid an-Nabi, every association of Zikr (remembrance), is a celebration of Allah (Azza wa Jal) and praising and thanking Him. Prophet (sallallahu alayhi wa sallam) was teaching, “When you want to show thankfulness to Allah (Azza wa Jal), be good to His Creation, because by means of that Creation goodness comes to you.” Be thankful and from people of the shukr (grateful) that you see everything from Allah’s bounty. To be from `ibaadur Rahman that their eyes and their hearts are open; that yaa Rabbi everything is from Your Bounty. Allah (`Azza wa Jal) is praising Himself through Himself by Himself for the greatness of Sayyidina Muhammad (sallallahu alayhi wa sallam). Awliyaullah come into our lives and say, “Be shukur (thankful), because the opposite of your shukr is to be kazzab and to be a liar,” in which you deny Allah (Azza wa Jal)’s Favours, deny Allah (Azza wa Jal)’s Greatness and you deny all of this vast Creation and the complexity with which it was created. We pray that Allah (Azza wa Jal) opens our heart always to be those who are constantly in Hamd, constantly in praise, constantly in shukr, for Allah (Azza wa Jal)’s infinite bounty and Creation. And He granted us the greatest of gifts, the soul of Sayyidina Muhammad (sallallahu alayhi wa sallam), the lights of Sayyidina Muhammad (sallallahu alayhi wa sallam), the guidance of Sayyidina Muhammad (sallallahu alayhi wa sallam) and made us to be the lovers of Sayyidina Muhammad (sallallahu alayhi wa sallam), lovers of Ahl al-Bayt an-Nabi (sallallahu alayhi wa sallam), lovers of Ashaab an-Nabi (sallallahu alayhi wa sallam), lovers of Awliyaullah fis samaayi wa fil ard (Saints of the Heavens and the earth) inshallah. Bi hurmatil Muhammad al-Mustafa wa bi sirri surat al-Fatiha. Please Support us to spread these knowledge and the Divine’s love.